Unraveling the technology that affects us all but that few of us understand, in a format to give you a basic understanding in the time it takes to drive to and from the grocery store. The Arrest of Assange: What is it all about? Julian Assange was arrested last week in London. Some call it the death of free journalism, but it might be something else. And what it reveals about your personal security is probably more important. While you won’t get into the guilt or innocence of the man, what he is accused of is important to understand. So stay tuned. A few weeks ago I interviewed Forresters senior analyst Amy DeMartine about her predictions for cyber security in 2019. Now that I have a chance to publish it, two of those predictions have already come true and it is just mid April. And the reasons for the growth of cybercrime are sitting in out pockets. The Green New Deal in Congress is going to be debated for at least two years and I thought it was worth tying in a tech angle to the debate. We interview Evan Johnson, CTO of Hytech Power in Redmond, Washington about how his technology can actually make this happen with a minimum of fuss and a maximum of results. BTW, If you listen to this podcast on Anchor.fm, you can leave messages, ask questions and make recommendations for inclusion in future episodes. Otherwise you can contact me on the Footwasher Media Facebook page, on my Linkedin page, or on Twitter @newtechpress. Artificial Intelligence: Good or Bad? Artificial intelligence (AI) is a major theme in technology news, investment and science fiction and the conventional wisdom is that it can be very dangerous. Is that true? Maybe not. 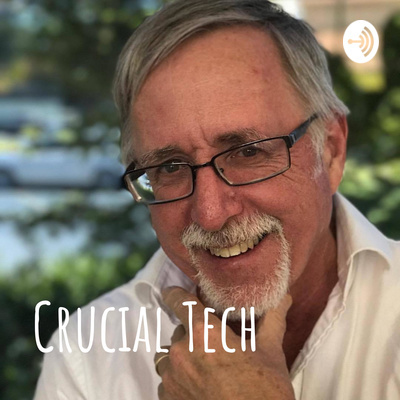 In this episode we talk to Axel Kloth, CTO of Axiado Corporation, about the potential dangers of AI and the potential benefits. Dr. Prasad Calyam at the University of Missouri is working with a team of researchers to create a novel way of stopping hackers from staling data or installing malware in cloud-based systems. The European Unions General Data Protection Regulations and the California Consumer Protection Act do not apply to the hardware manufacturers that suppy equipment to the companies that collect and store our personal data...yet. Eventually someone is going to figure out that our data is vulnberable in the hardware and will want to sue the hardware companies. We talked to Axiado Corporation CEO Ashok Babbar about how difficult it is to secure data on current hardware, and what we have to do to secure it. The last week of February was a bad one for digital security and we thought it would be a good time to start this podcast, focusing on the biggest news of the weeK: The Cloudborne vulnerability in cloud servers... all of them.